Caring for your elderly loved ones can be quite rewarding. Often, they’ve helped care for you when you were young, so returning the favor seems like the right thing to do. As they continue to grow older and potentially acquire age-related illnesses such as Alzheimer’s disease or dementia, the stresses of caregiving may begin to increase as you take on more responsibilities. Being a caregiver is often a long-term commitment, lasting years or even decades. As the person you’re looking after needs more of your time and assistance, you may begin to feel burnt out. This is completely normal. The role is hard, requiring long hours, and often without receiving help from other people. Sometimes you will be in the middle of a burnout before you realize it has even happened. Once you are aware of the situation, it is important to take a step back and find a way to get yourself back to normal. Carrying on as if nothing is wrong is not beneficial to you or the person you’re caring for, and you will both end up missing out until the situation is rectified. There are several approaches you can take to help combat the negative feelings you have. It may take multiple attempts to find which one, or combination works best for you. Talk About It: A therapist, or even a friend or family member who will listen to you without passing judgement as you open up about your problems is very helpful for relieving stress. Keep Yourself Healthy: Taking care of yourself by exercising, eating right, and sleeping well will help get your body back on track. Stay Positive: Keep your sense of humor, and look for things that make you happy and smile to help get you through stressful daily activities. 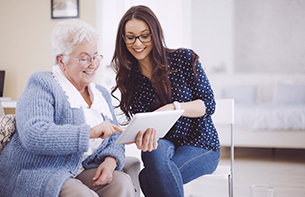 Learn More: Take some time to educate yourself about your loved one’s medical needs. The more you understand, the more compassionate you can be and the better care you can provide. Understand Your Limits: Don’t try to overextend yourself past what you are capable of. 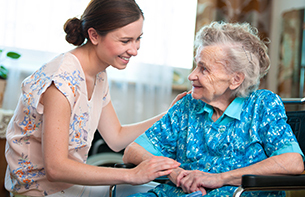 Consider Respite Care: Whether utilizing in-home care, or arranging short-term visits in skilled nursing and rehabilitation facilities such as The Holiday, the break provided by this service goes a long way to helping you recover from the burnout you’re feeling. If you’re looking for a short-term arrangement for your loved one while you take time for yourself, give us a call at 401-765-1440 for more information about our skilled nursing facility in Manville, Rhode Island. We are happy to look after those you care for and always treat them as if they were our own family. Fill out this online form if you would like to book a tour.